I really do not understand why there are some sweets that we should eat only in a specific occasion. I mean, I always dream about eating panettone on the beach, together with a glass of lemon iced tea. Zeppole are another example of this: we only eat them on the 19th March, which is Dadddy’s day. Zeppole have ancient origins, the recipe has been given by Ippolito Cavalcanti who wrote it in Neapolitan. Just one thing is sure: first zeppole were fried. Today we can find different versions and different fillings: oven-cooked zeppole with custard, chantilly or chocolate cream. Very important advice: use natural aromas. Vanilla beans or organic lemon/orange zests are perfect. 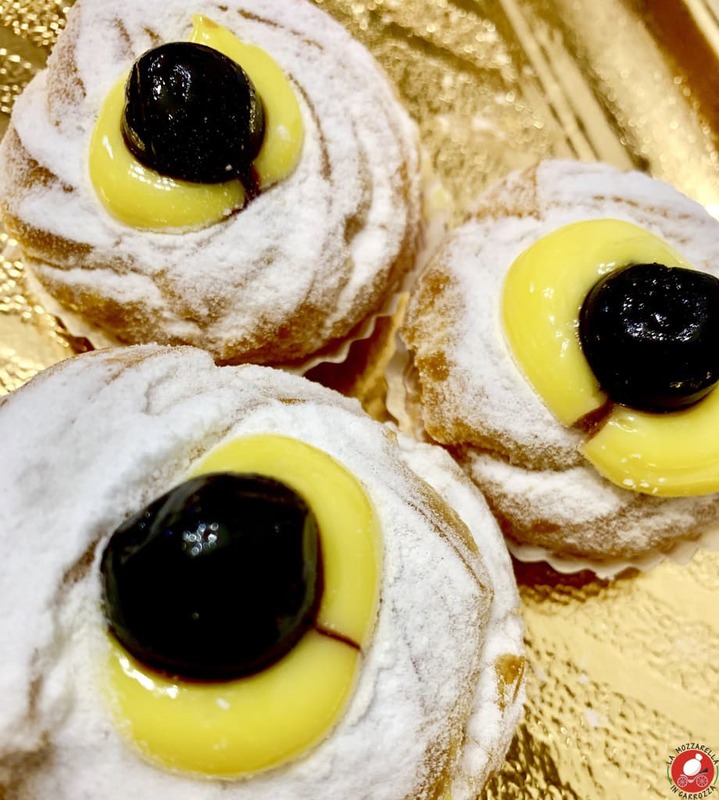 Last but not least: what about the typical black cherry on the top of zeppola? My guests always don’t eat it. Personally, I think it helps to balance the extreme sweetness so I think your zeppola should really got it. Now you know something more about zeppole why don’t you try to make them as a special sweet gift for your daddies?